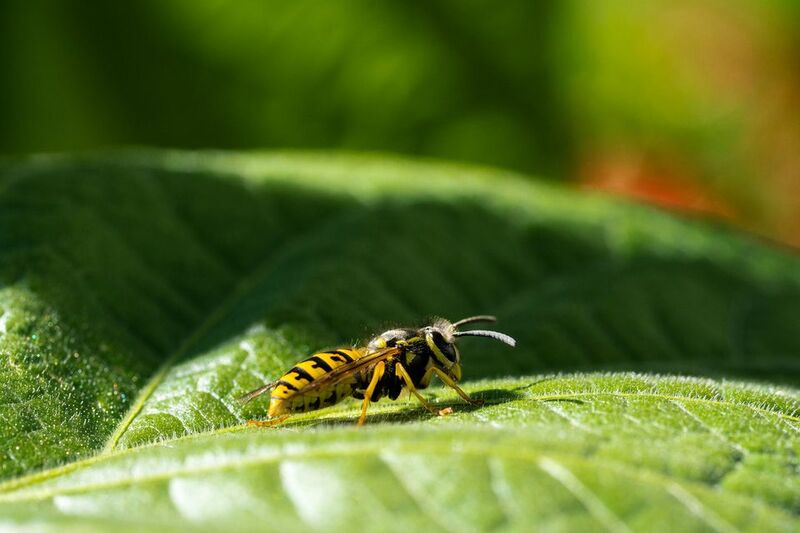 Wasps help to fertilize gardens and keep harmful insect and parasite populations in check, but when they build a nest in your mailbox, interfere with your backyard barbecue, or sting you repeatedly, it makes more sense to find a way to keep them at a safe distance. To keep wasp nests away from your house and immediate yard, set traps in the early spring when the queens are looking for nesting sites. Although you can buy ready-made traps at the store, you can also save your cash and make your own. Read on for easy steps to create an effective homemade wasp trap with basic supplies you may already have sitting around the house. Take care while doing this step. 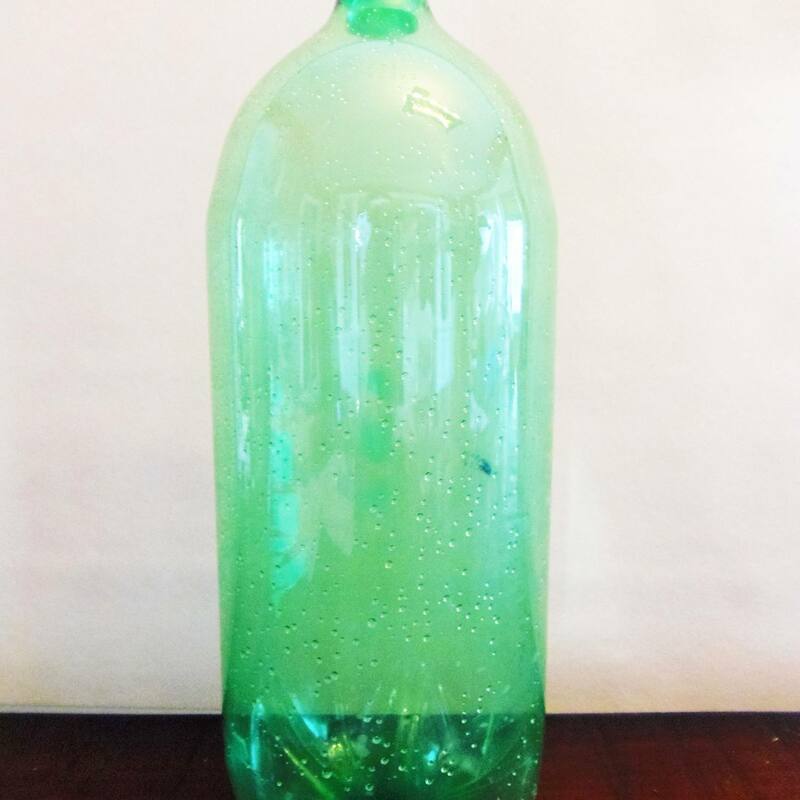 Use a knife, box cutter or a sharp pair of scissors to cut the top off of the bottle at the line you made. To bait the trap, you'll be putting an enticing food source into the bottom of the bottle. Different baits work at different times of the year. In the spring and early summer, wasps are looking for sources of protein. In the late summer and early fall, they are seeking sweets. Place a piece of lunch meat or a small hunk of hamburger inside your trap in the spring. Use a few inches of sugar water, water with jam, soda, fruit juice or another sweet liquid in the summer and fall months. Add a bit of vinegar to the mix to keep bees out of your trap. To complete your trap, unscrew and remove the cap of the bottle. Then, flip the top part of the bottle upside down, and tuck it into the bottom portion of the bottle and it's ready to use. Place your trap (or traps) outdoors in areas where you see wasp activity or want to prevent wasp activity. If you're trying to keep wasps away from your picnic, set up a bottle a short distance from the table, so they'll hopefully be attracted to the trap, instead of your food. If you want to hang your wasp trap in a tree or on a structure, use a hole punch to make two holes across from each other at the top of the trap. Make sure that you punch through both the top and bottom portion of the bottle. Then, thread a piece of wire or string through the holes to serve as the handle for hanging. Check for any live wasps, and then remove dead wasps from the trap regularly, and rebait the bottle at least once a week so that you continue to attract wasps. Always exercise care when dealing with wasps, and avoid contact if you're allergic.